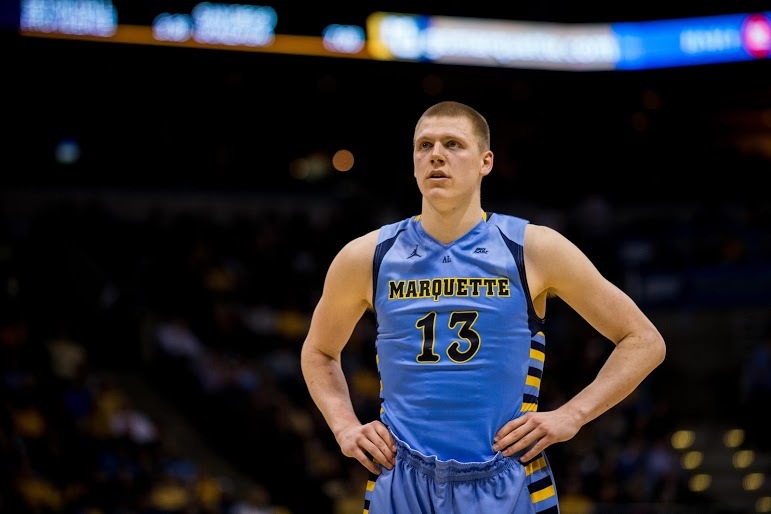 Will Henry Ellenson choose to stay at Marquette or declare for the NBA draft? 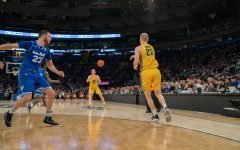 There’s been a lot of speculation since Ellenson’s arrival in Milwaukee about whether he should return to Marquette for his sophomore year or leave for the big show. The freshman from Rice Lake has an elite-level mid-range jump shot, above-average rebounding ability and a knack for handling the ball despite his 6-foot-10 frame. Still, some pundits are questioning his defensive skillset, where Ellenson at times looks overmatched by players smaller than him. How is he supposed to compete against NBA players like LaMarcus Aldridge, Carmelo Anthony or Paul Millsap? Other experts aren’t so worried. ESPN’s Chad Ford ranks Ellenson No. 4 on his 2016 NBA Draft Big Board, while Fox’s Reid Forgrave ranks him 5th and DraftExpress has him as the 7th-best prospect. Ellenson’s 15.7 points and 9.5 rebounds per game also put him in consideration for National Freshman of the Year. 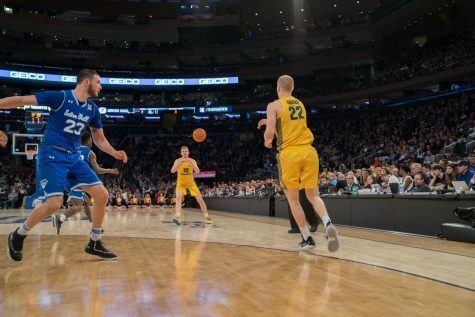 Ellenson could probably use another year in college to work on his game before heading to the next level, but that would also mean potentially passing up millions of dollars. Can men’s lacrosse improve upon last year’s results? The Golden Eagles surprised many people last year, going 10-6 and finishing third in the conference. Inside Lacrosse ranked Marquette No. 16 in its Preseason Face-Off Yearbook, while Lacrosse Magazine ranked the team No. 18. That means the team, now in its fourth year, is officially on opponents’ radars. 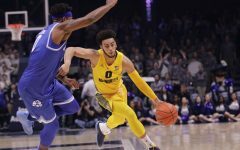 Nothing will come easy for Marquette, who will take on familiar foes Ohio State, Denver, Duke and Notre Dame. Redshirt seniors Liam Byrnes and B.J. Grill as well as senior Conor Gately will need to step up in a big way if the team wants to take another step in the right direction. Is Wally Ellenson still gunning for high jump glory? 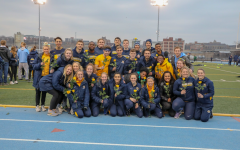 A year ago, track and field was Ellenson’s main focus. While he was forced to sit out the basketball season after transferring from Minnesota, the 6-foot-6 Rice Lake native put all focus on his high jump career. 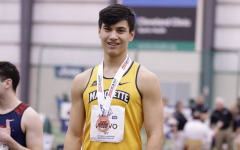 Already an All-American from his time at Minnesota, he continued his success by capturing the indoor and outdoor BIG EAST titles in the event, including a Marquette record jump of 2.28 meters (7 feet, 5.75 inches). He went on to place fifth at the NCAA Championships and would compete at the USATF Outdoor Championships. 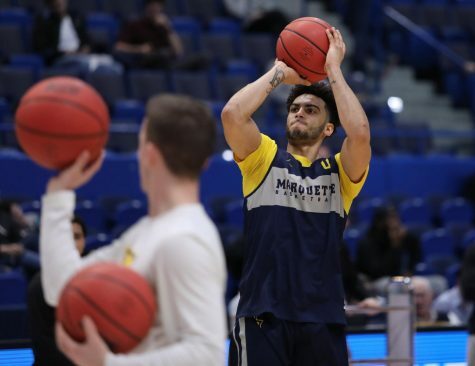 It’s a different story this year, as Ellenson provides a vital role for the men’s basketball team. He’s averaging 2.2 points and three rebounds in 10 minutes per game as the team’s defensive spark plug off the bench. There aren’t many two-sport athletes at the Division I level, and most of those who do split time between football and baseball or track and field. In other words, it’s rare to see a two-sport athlete in basketball and track and field. The training required to stay in shape for both sports differs, not to mention the time and finesse it takes to fine-tune the art of each sport. Ellenson won’t jump until the basketball season is over, which means he may not be able to hit the track until March or April. With the Rio Olympics just seven months away, Ellenson could be a dark horse for one of the three spots on Team USA. However, the USATF Olympic Qualifiers standard is currently 2.28 meters – Ellenson’s personal best – which he cleared prior to the May 1, 2015 start date. 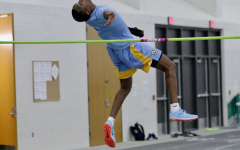 To even get to the qualifiers, he’ll have to clear that height again, and that’s a tall task. 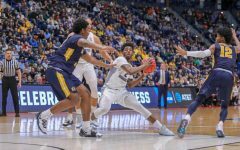 Will men’s basketball make the NCAA tournament? 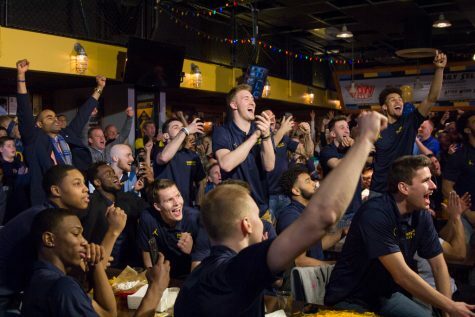 It’s been two years since Marquette made a postseason tournament, and fans were confident before this season that the drought would finally end. Yet, the team sits at 12-7 and in 7th place in the BIG EAST with a month and a half to play. 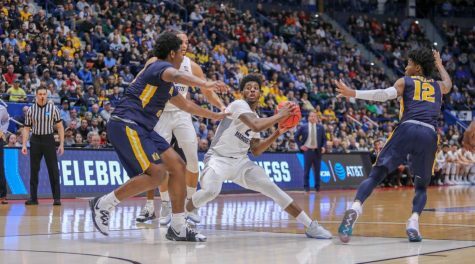 Fortunes certainly could be better for the Golden Eagles. Two of their three marquee wins – LSU and Arizona State – don’t really jump out at anyone given their own mediocre seasons so far. 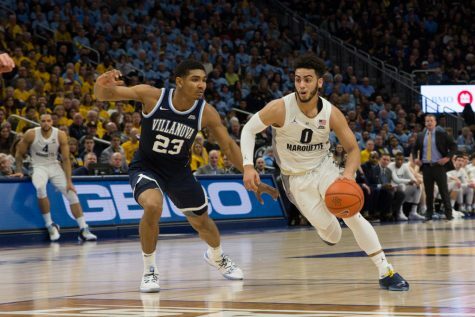 The Providence win in Rhode Island was a saving grace, but Marquette is still just No. 112 in the KenPom rankings and No. 94 in RPI. 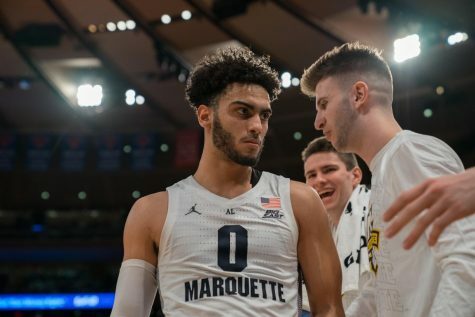 NBC Sports’ Dave Ommen has Marquette listed as one of his “next four out,” meaning the team still has a sliver of hope in his eyes. ESPN’s Joe Lunardi gave no mention of Marquette in his latest Bracketology. Can the track and field teams overcome Villanova for the BIG EAST crown? 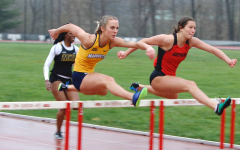 Both the men’s and women’s track and field teams made huge strides in 2015. Both finished second at the indoor and outdoor BIG EAST Championships, behind Villanova’s men’s and women’s teams. 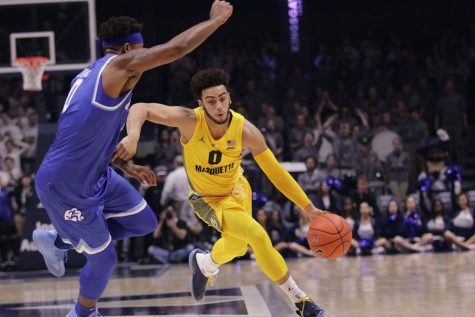 Much of the core of both teams returns for Marquette this season. 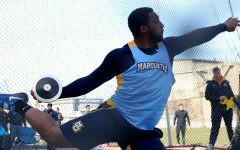 Sprinters Joshua Word, Anton Rice and Nicholas Ebert will lead the men’s side, and javelin thrower John Krzyszkowski and Wally Ellenson will help the team during the outdoor season. The women’s side will benefit from sprinter Cassy Goodrich, thrower Maya Marion and a plethora of distance runners. 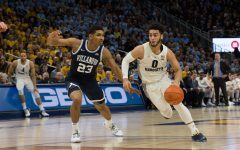 Villanova will still be a thorn in Marquette’s side, as the Wildcats are a perennial national powerhouse in the running department. However, if Marquette can take advantage in the field events, they could sneak past the favorites in either BIG EAST Championship.